The odds are you’ve probably seen images of hockey players who are missing teeth from all those hits they’ve taken while playing the game. Who could forget those iconic images of Bobby Hull, Bobby Clarke, or Duncan Keith smiling with several of their teeth missing? But, let’s all be honest. Just because a hockey player looks appealing and tough when he’s missing a tooth doesn’t mean it looks good on everyone. 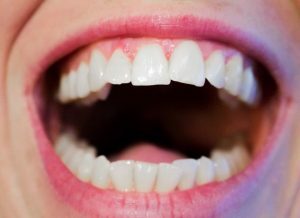 A smile with missing teeth is often a sign of poor dental health and, in many cases, a sign that you don’t care about it. Even worse, your other healthy teeth could be at risk of being lost. This is due to the decay in your jawline. As you are missing teeth, your jawline will start to wear out, thus causing other healthy teeth to die off. Everyone—even the toughest of hockey players—will need to replace missing teeth at some point in time. It’s all about protecting what you naturally have from being lost. 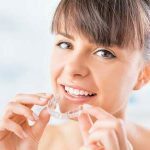 But what can you use to replace those missing teeth, avoid further tooth decay and retain oral health?Each option is appealing in its own way but there are some pitfalls to every choice. Let’s take a look at what you can utilize today. Dental implants or tooth replacement are among the best options you can use for tooth loss. 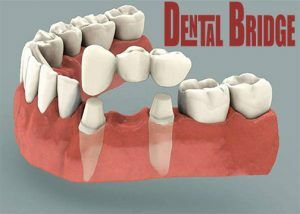 An implant or dental bridge is a material that uses a metal rod that goes into your jaw line. It integrates itself into your bone structure. This creates a strong support system while protecting against bone loss over time and also helps prevent gum disease. A crown will be applied on top of the implant rod. It will match up with the rest of your teeth when installed right. This is a great solution that provides you with a permanent look that saves your other healthy teeth. Still, it can take months for the implant rod to secure itself into your jawline bone structure. 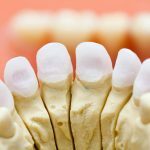 You have to look at how your implant is being supported so you can get your teeth to look stronger and healthier without any problems coming from them. Such an option can be used if you are younger in age. Many hockey players look to attain implants when they are not playing so they can get their teeth properly restored. This is especially useful for them as they typically still have enough of their jaw bone structures intact to where they can support the metal rods needed for them. 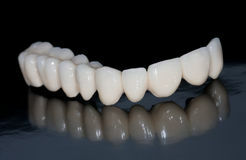 A fixed bridge is a strong material that can cover larger spaces where multiple teeth are missing. With this, you will use implant rods on the two ends of the teeth that are missing. After the rods have gotten into your gum line and jaw bone and secured themselves, the bridge space can be added on top of the area. This creates a coverage space for multiple teeth. This works quite well but it may not be as strong as an implant due to there being fewer implant rods than there are actual teeth being replaced.You would also have to watch for how the bone structure is being treated and that there are enough support rods to cover the entire region. This does well for people who are a little older in age. This is especially great for those who jaw lines are spotty in terms of how much bone is in those spots. People with weaker jaw lines can use bridges to help them get enough teeth secured without being too tough to use. Partial prosthetics may also be applied. 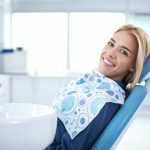 With these, you will have a removable material that can be added around certain areas of your teeth. This is ideal for cases where you have several missing teeth in certain areas of your mouth. With this, a metallic material that uses a series of ceramic teeth shaped to fit in with your jaw line may be added. This can work with a retainer-like design. You can add and remove it as needed for when you’re trying to eat or do other things. Best of all, the supports used for these partial prosthetics may be invisible. This is attractive but you would have to watch for how these are maintained based on their fits. Also, you must watch for how you are speaking or doing other things with such prosthetics in there as there is a risk they could become loose or weak if not handled properly. You have to see that your teeth are managed carefully to ensure they are safe at this point. 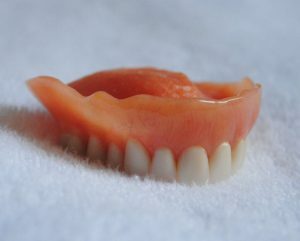 It is true that dentures can be useful if you have an extensive amount of teeth missing. These are easy to shape and can fit into your mouth with ease. However, these are also risky for how they can come apart quickly if not maintained. It might also be easy for people to tell you to have dentures depending on how they fit and whether they are being treated right. This would only be useful for some of the more significant cases of tooth loss where you have far too many teeth missing to the point where individual bridges or implants might not work as well as hoped. Of course, dentures may also work if you do not have enough bone structure for supporting implants. 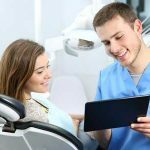 They may also work if you have a plan for a further dental procedure but need a temporary solution to cover up any missing spaces while getting something more intensive like an implant prepared. Check with your dentist to see what type of replacement for missing teeth is right for your demands. Each option has its own merits but you should look carefully to see what you can utilize. 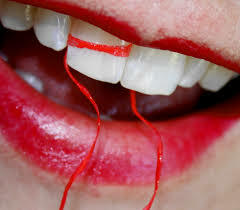 You will be surprised at what you could utilize when it comes to giving your teeth a great look. Besides, the last thing you’d want is to have a hockey player’s smile without ever having even stepped on the ice.